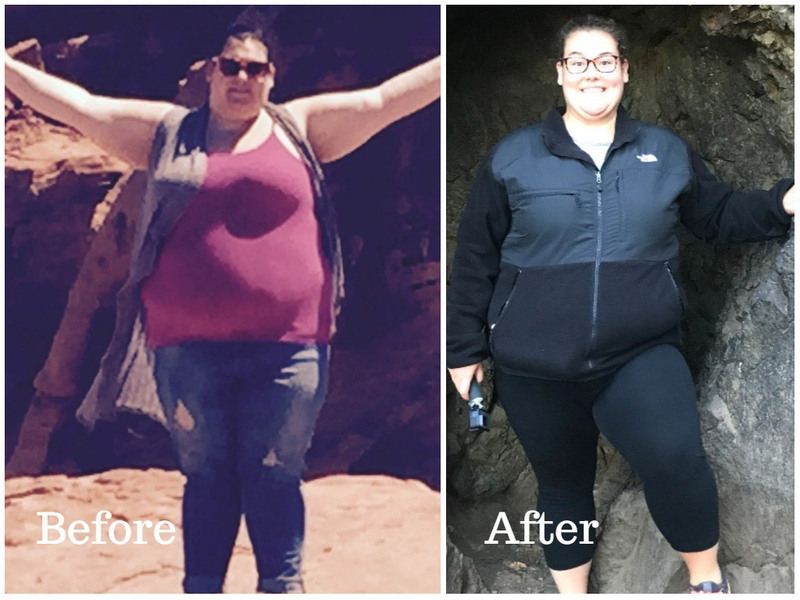 Home / Weight Loss / Real Weight Loss Stories / Travel Blogger Katie Draznin Shares Her Personal Story Of Losing 140 lbs! For someone who preaches vulnerability and shares their life on the internet, there is one area of Katie’s life where she hasn’t been completely vulnerable. But with her determination she has been able to lose 140 lbs. Check out Katie Draznin’s incredible journey in an exclusive interview with Women Fitness below. I knew for a long time that I needed to lose weight. I have been overweight most of my life. However, it became increasingly apparent about 2 1/2 years ago. I had reached almost 400lbs and I was no longer able to do or comfortably do the things I loved. It hasn’t always been easy. At times I have wanted to give up, but I remember why I’m doing and why its important. I traveled for almost 7 months this year which made it exponentially difficult. 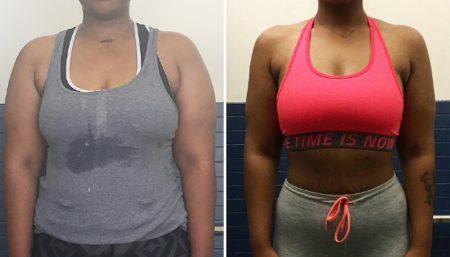 I didn’t want to compromise my experience by limiting the foods I allowed myself to try and I didn’t want to compromise my weightloss journey by sabotaging my progress. So I created a balance. I walked everywhere. I had no schedules so in the the morning I would decided where I was going and then I would walk there. It didn’t matter if it was 1 mile, 2 miles or 5 miles. I walked. When I returned from my travel I had lost a little over 25 lbs. I got to try new foods in moderation while still being active. For me the biggest milestones haven’t been the numbers on the scale. Its been the things I have been able to do. I no longer need a seatbelt extender on an airplane, I climbed Machu Picchu this year, I climbed 760 steps to the top of Piedra del Peñol in Colombia, I hiked Rincon de la Vieja in Costa Rica, I was able to ride all of the roller coasters at Disneyland in Paris and Tokyo and I was able ice skate just this last weekend. I am down over 4 sizes and feel amazing. Along this journey, I have measured my progress by how I feel, not by the number on the scale. I have never been a gym person. I had a personal trainer for a while, but my progress was never what I wanted it to be. I felt like the results I was seeing weren’t worth the money I was paying. I grew up swimming and have always loved the water. So it was only logical that swimming became the primary part of my fitness regime. Two years ago when I started this journey I started swimming at a local gym. Last year, I moved to California and found an adult noncompetitive swim team. I practiced everyday with a coach. It was fun and exciting and everyday was new. I also discovered yoga and hiking last year. This year I traveled the world. My fitness regime has been unconventional to say the least. While traveling, I did a lot of hiking, walking and yoga. I swam when I could. Now that I am back in the states and getting settled back in, I have refocused my fitness. I am currently mainly focused on yoga and Pilates. I still walk pretty much everywhere, in fact I don’t own a car. I am currently researching a noncompetitive swim team in the Las Vegas area to join. I do my best to do some sort of activity 4-5 days a week. I do my best to stay away from gluten, dairy and red meat. I notice that for me personally, my body doesn’t process them very well. My motto is it doesn’t have to taste bad to be healthy. I also think its ok to “indulge” every once in awhile. I find more success when I am not depriving myself of the things I want or crave. My weightless journey is for me and no one else. I think I was never successful before because I always did it for other people. However, my greatest motivation comes from my “WHY”. My “WHY” for this journey is the life and vision I am creating. I want to live my best life and at 400lbs I can’t do that. My best life involves a lot of travel and non stop activity and neither of those things are possible with all that extra weight. My journey is more than a New Years resolution. I don’t have any health and fitness resolutions for 2018. My health and fitness journey is a lifestyle change. It is something that I work on really hard at the beginning of the year and then give up on when it gets hard. For me its everyday and will probably be forever. I make the conscious decision everyday to live my best life and that includes being active and being healthy.